Founded in 2012, the Upperchurch Drombane Cycling Club caters to all levels of cycling fitness and ability – from beginners to experienced cyclists, youth and veterans alike. The club is predominantly made up of leisure cyclists, concentrating on road cycling. We run organised weekly club rides most of the year, in addition there are 3 or 4 organised events during the year. During the dark winter nights to keep you fit and active we hold “spin” classes in the Upperchurch Hall on Thursday nights, as the evenings brighten up the spin classes morph into a Thursday evening group spin. New members are always welcome. In order to cater to all levels of fitness and ability there are a number of groups out for the club rides. 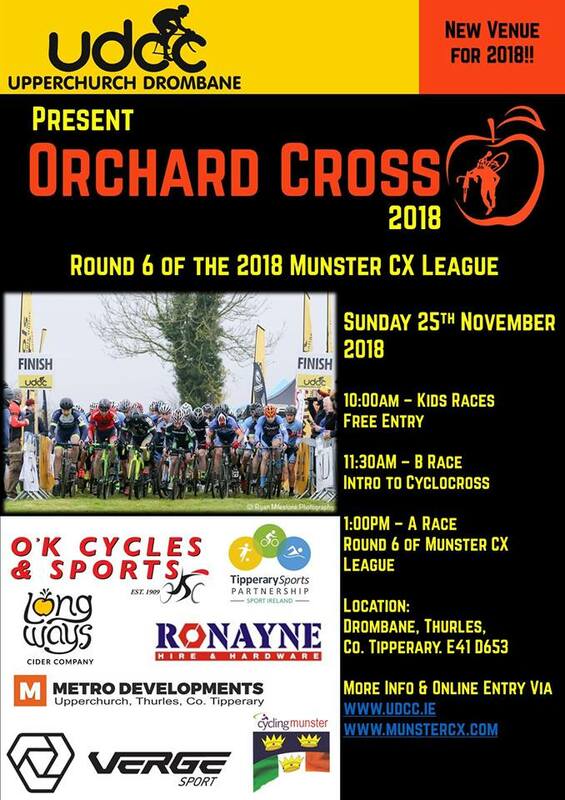 The stronger and more experienced cyclists head out on Sundays from the Thurles Co-Op in 2 separate groups for either 70km (25km/hr avg pace with one stop) or 100km (30km/hr avg pace with no-stop). Those wanting a more leisurely cycle can join the Sunday group in Upperchurch for a 25km or 40km cycle, these tend to be twice about twice a month. Club Membership is €10 for adults, plus you must purchase Cycling Ireland Membership (which covers insurance for the year whether you are on your own, with UDCC or anywhere else in Republic of Ireland).